In the Colonial period, Americans went to Great Britain for graduate education. One such American was a Philadelphia man and member of the first College of Philadelphia (what is now the University of Pennsylvania) class named John Morgan (pictured at left). 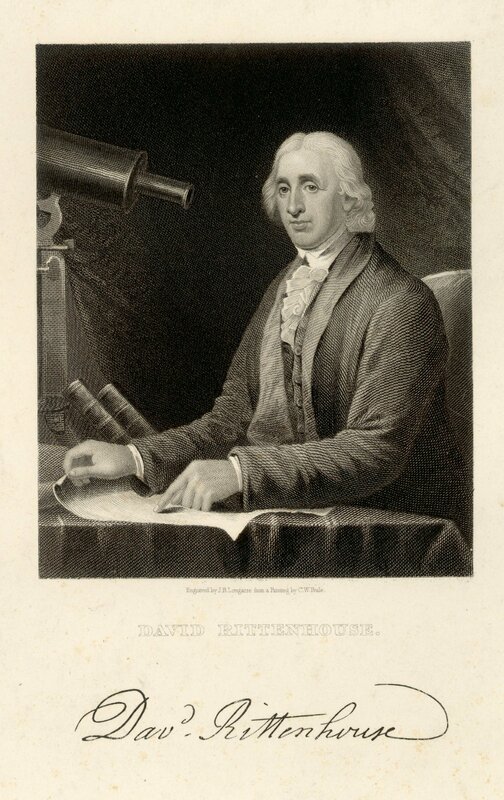 He had graduated as a physician from the University of Edinburgh, Scotland, and in 1765 met with Benjamin Franklin. Morgan, later a founder of the American Philosophical Society, convinced Franklin to open a medical school at the College. 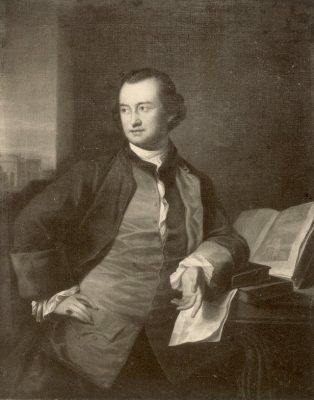 Morgan himself was a member of the first faculty of that school (not to mention that three of the other members of the first five-person faculty, William Shippen, Jr., Adam Kuhn and Benjamin Rush were also graduates of the University of Edinburgh), and when the American War for Independence began, he became the surgeon general of the Continental Army. Now, it is interesting that the medical school at Penn would begin at the suggestion of a graduate from Edinburgh, because in a moment of historical irony, King Charles II had given the grant for the Commonwealth of Pennsylvania to William Penn in the same year as the charter was signed for the Royal College of Physicians of Edinburgh. Pennsylvania and Edinburgh, it seems, have been related ever since. As a side note, James Wilson (pictured at right), the “first professor of law at the University of Pennsylvania, and thus the first professor of law at an American institution of higher education” had received some of his education at Edinburgh as well. Much more recently, in 1981, some Philadelphia doctors went to Scotland, and presented Edinburgh doctors with a portrait of Morgan as a gift to the Royal College of Physicians there. It was written that, “[i]n a sense, the late distinguished Dr. Morgan will be going back to Scotland with them.” This report is not aimed at covering Penn’s global engagement in the eighteenth and nineteenth centuries, but it felt incomplete to not mention this relation between Penn and Edinburgh, because to the present date, Penn continues an exchange program with the University of Edinburgh. In the section of this report on World War I, it has already been stated that, when the Archbishop of York addressed the Penn campus in March of 1918, he told the listeners that over 4,000 Oxford and Cambridge men had been lost to the war. This huge loss of educated men placed the burden of that generation’s progress on American educational institutions. Left unspoken by the Archbishop were the losses suffered during that great tragedy by institutions in Great Britain (not to mention the Continent). In 1926, after some period of recovery, Penn was graced by twenty-one Oxford undergraduates (pictured at left) arriving in the United States for a visit lasting a little more than two weeks. 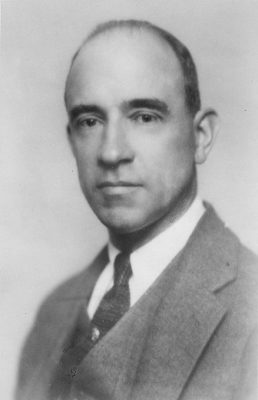 The Secretary of the University at the time, E. W. Mumford, toured the party around the campus, and the most interesting part seemed to be the Oxford students examining the University Museum, Franklin Field and the University Gymnasium. They also attended the Sesquicentennial and the University Club, as guests of Franklin Spencer Edmonds, a Philadelphia lawyer. Penn’s relations with Great Britain (and with Western Europe, generally) returned to a sense of normalcy. World War II, a more prolonged experience for America than World War I had been, renewed a sense of compassion between members of the Allied nations. In 1956 the Vice Chancellor of Oxford University, Dr. A. H. Smith, who had been given a Penn honorary degree at the Founder’s Day Convocation on January 14 of that same year, gave a “set of prints of Oxford scenes to Gaylord P. Harnwell, president of the University of Pennsylvania.” These prints were presented by a delegation of five from Oxford University. 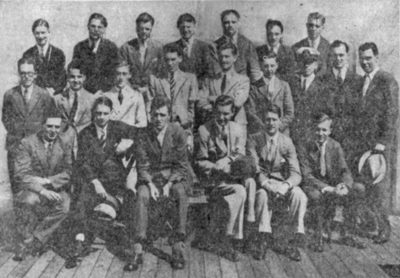 For three days in 1958, Penn hosted “seventeen educators from leading British Commonwealth universities during a three-day period… [t]he delegation… [was] composed of executive heads of universities from throughout the British Commonwealth.” Dr. E. G. Malherbe, former principal of the University of Natal, Union of South Africa, led the delegation and they were addressed by Provost Jonathan Rhoads. In 1968, Dr. Arnold Thackray, with the aid of a grant from the National Science Foundation “conduct[ed] the first computer study of a scientific society that played a major role in the history of science – the Literary and Philosophical Society of Manchester, England.” In 1969, Dr. Philip Rieff (pictured at right), former Benjamin Franklin Professor of Sociology at Penn was given the distinguished honor of being “named a fellow for life of the Royal Society of Arts in Great Britain, one of the oldest [founded in 1754] of the Royal Societies of Scholars.” Also in that year began the presentation of the Royal Society of Arts Silver Medal to be presented annually specifically to an undergraduate student. Apparently, the Royal Society of Arts became linked to the United States as Benjamin Franklin had been a Corresponding Member in 1756. Rieff also was named in that same year a Visiting Fellow of All Souls College, Oxford University, and was the first Penn faculty member to get that distinction. George F. Kennan was among American scholars who had previously been named to that post. All Souls College was founded in 1438 and “is the world’s oldest center for advanced study and research.” One year later, in 1970, Rieff was awarded a Guggenheim Fellowship for research in Great Britain. The director of the University Museum in 1971, Dr. Froelich G. Rainey, located a settlement 1,900 years old in Britain from the Roman occupation. The “King’s Cote” investigation, referring to the name of the Roman site, was situated near the Welsh border in the western England. In 1973, Neal Gross, former Dean of the Graduate School of Education presented a lecture, “Why Educational Innovations Fail,” to the Institute of Educational Studies at Oxford University. But perhaps one of the larger honors came on the twenty-fifth of January, 1974, with the nomination and appointment of Penn president Gaylord P. Harnwell as an Honorary Commander of the Civil Division of the Most Excellent Order of the British Empire. The citation (pictured at left), bearing the seal of the aforementioned order, was given and is signed by Queen Elizabeth II, and was presented by the Grand Master of Ceremonies. In 1976, Penn held a special convocation with four honorary degrees given to British and American Scholars. 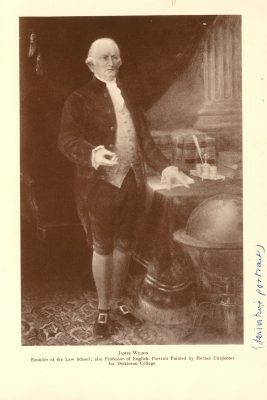 The address at the convocation was given by Dr. Marcus Cunliffe of the University of Sussex, Brighton, England, a recipient of one of the honorary degrees, and was entitled “Royalty and Republicanism: George III and George Washington.” This opened the joint four-day meeting of the American Studies Association and the British Association for American Studies. Both events commemorated the U.S. bicentennial. This four-day period was significant as it was reported that meetings between the two groups (at least up to this point) were rare, and about three hundred persons attended almost thirty discussions and lectures. Throughout the 1970s, six other Royal Society of Arts Silver Medals were awarded to Penn undergraduates. The early 1980s saw more interest in Irish studies, with world affairs courses focusing on Irish history and society and a noncredit course on Irish culture. In 1981, there was a visit of the Lord Mayor John Carson of Belfast and the Lord Mayor Fergus O’Brien of Dublin (shown in the photograph at the top of the page the man on the far right is Brendan O’Regan, then chairman of Co-Operation North, later called Co-Operation Ireland). The visit was a part of “their U.S. tour to forge stronger links between Northern Ireland and the Republic of Ireland.” After a luncheon with administrators and faculty members, they addressed the press stating that, “We hope to inform the American public that there is a strong will to live peacefully together… that there is something tangible happening…. 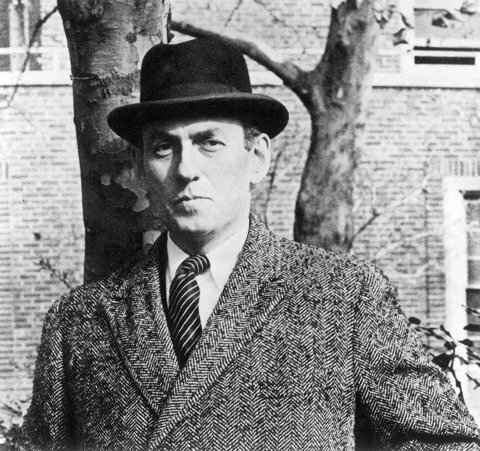 The response to our coming to your country has been magnificent… We want the American people to know that we mean that sincerely.” A year later, the University of Pennsylvania Press published a book by Henry Glassie entitled Irish Folk History (Texts from the North). Glassie, having been head of the folklore and folklife department from 1976 to 1980, had studied folklore and received a doctorate in it from Penn in 1969. That same fall, Mary Ellen Cohane taught a course on Irish traditional music. The significance of this work and these courses is that on the larger scale, Ireland was experiencing what was known as “The Troubles” between the Republic of Ireland and Northern Ireland, which the British government had attempted to quell, and Penn was doing its part, examining and analyzing the Irish culture in these bedeviled times.